The Notice of Race and a publicity poster (linked via thumbnail) have now been issued for the Craftinsure National Circuit and Travellers Series No. 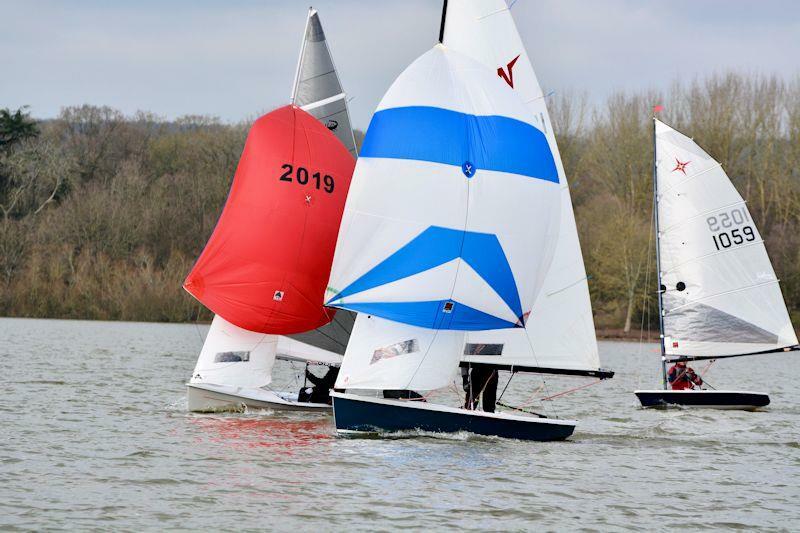 2 and Junior Championships at West Oxfordshire SC later this month. This is a joint Wayfarer and Wanderer event. We are advised that the parties at WOSC are a particular highlight! 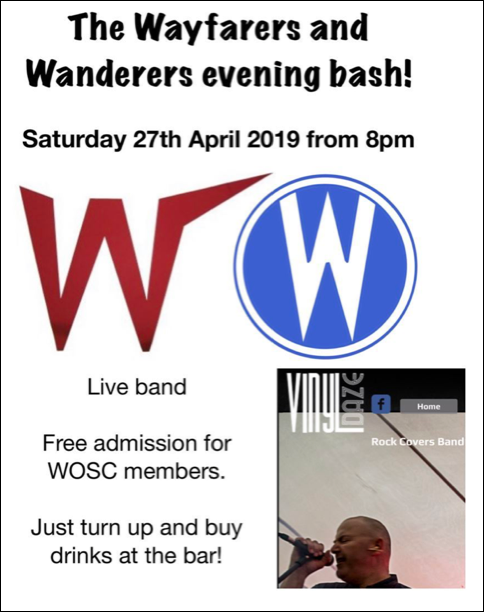 For more information please contact Les Burton [[email protected]] or by phone – 07802 423930, or visit the WOSC website. 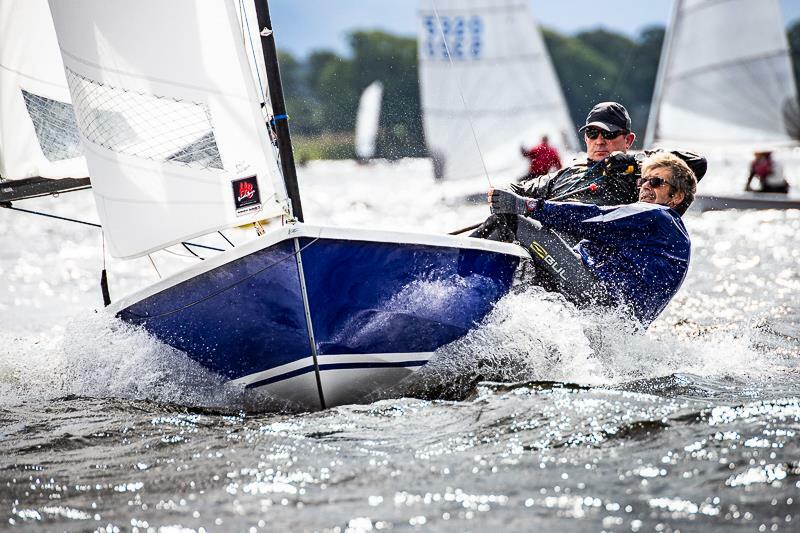 The Craftinsure UK Wayfarer National Circuit (NCS) and Travellers Series 2019 begins on 6/7 April with the Inland Championships which will be held at Datchet SC. 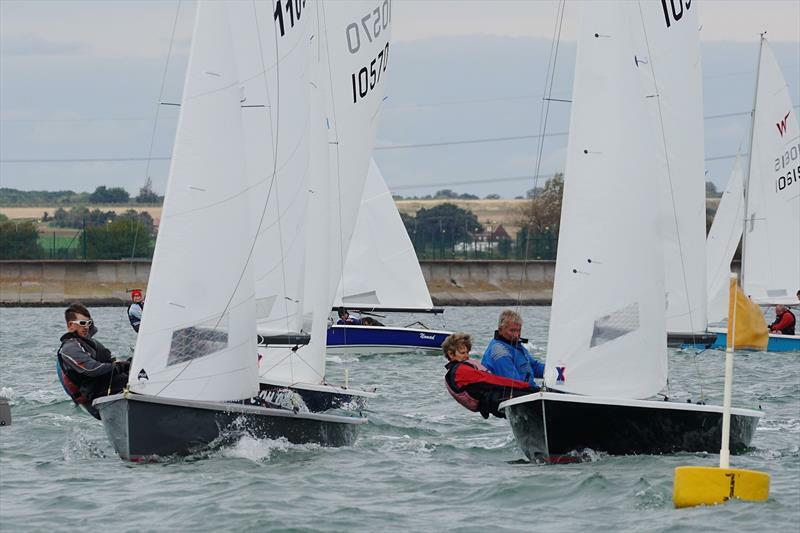 In 2018, the NCS was hotly contested being decided at the last event in favour of serial champions Michael McNamara and Simon Townsend. Although rather spoiled by a lack of wind on the Sunday the Inland Championships twelve months ago was equally close, the nod going to McNamara/Townsend from Andrew and Tom Wilson. At or near the front of the pack will surely be Michael McNamara and Simon Townsend from Rollesby Broad SC. Unbeaten in a Wayfarer in 2018, they are the current UK National, European and Inland champions, and will be using the NCS events as practice for the International Championships in Ireland later in the year. They look likely contenders for Best in Show. Close on their tails will be the whippet that is Andrew Wilson (with son Tom) from the host club, Datchet SC. Runners up at the Inland Championships in 2018, Andrew and Tom went on to win the Southern, Eastern and Western Area Championships. Back in the boat after fully recovering from hip surgery in 2018 (think Andy Murray but a little bit older) will be Len Jones and Pete Mitchell from Medway YC. Len and Pete were runners up in the UK National Championships and the Danish National Championships last year and will be a force to be reckoned with. They are the perfect combination of an old dog with new tricks. Bill Whitney and John Shelton from Shoreham SC should not be discounted. Always on or close to the podium in 2018 they finished third in the NCS and doubtless will parade well in the Arena again this year. Crossbreeds worth an each way bet include Brian Lamb and Sam Pygall from Wilsonian SC (third overall in the NCS), Guy Marks and Mel Titmuss from Bough Beech SC from Bough Beech SC (former National Champion and on the podium at a couple of events in 2018), John Clementson and crew (recent winner of the Bough Beech SC Icicle, multiple Graduate and Mirror Champion) and Steve Blake sailing the Hartley Boats works boat. 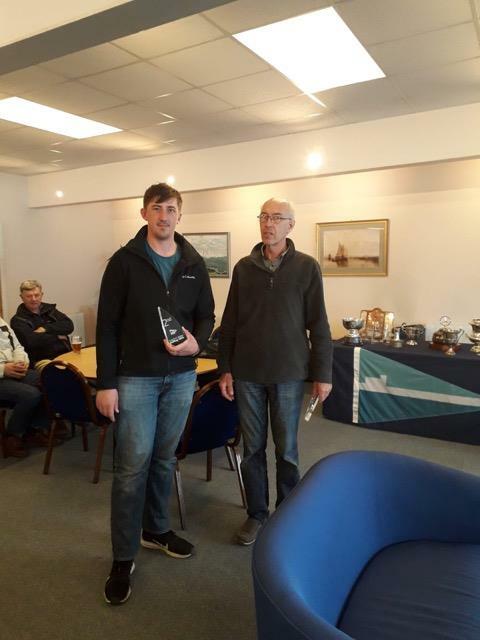 Scruffts with an outside chance might include Tony Cooper, Derek Lambert or Scott Hamilton from the host club, the O’Donnells or Mike Weighill (most improved helm in 2018) with Carl Martin (most long suffering crew in 2018) from Swarkestone SC, or the Townsends or the Lees from Medway YC, all of whom have potential to do well in individual races although stringing together a consistent series might be beyond them. Like the beginning of every football or Formula 1 season all teams start with zero points and equal chances of success. It will only be as the season develops we will see which Wayfarer team will be the Lewis Hamilton and which will be the Huddersfield Town (with apologies to The Terriers who this year, sadly, have not been top dogs). 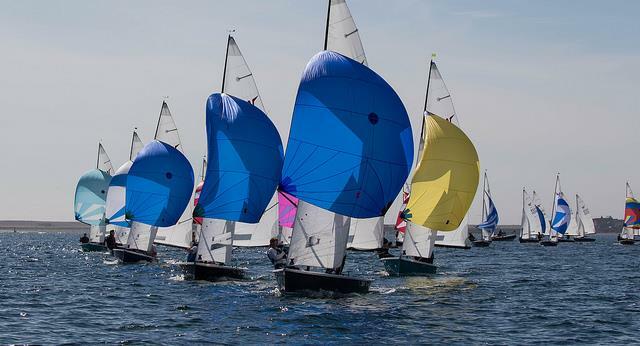 The Notice of Race for the Eastern Area Championship (also NCS3) to be held at Medway Yacht Club May 18th/19th 2019 is now available to read/download here. The Entry Form for the event is available here. Further details will be posted on the event’s page elsewhere on the website (linked from the Racing Calendar) in due course. 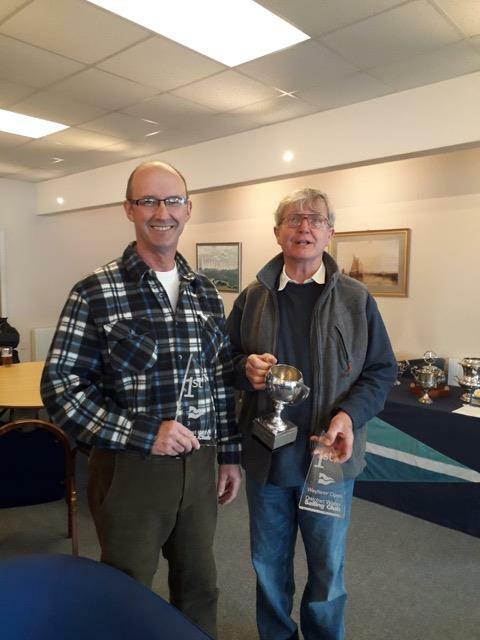 The first event of the Craftinsure National Circuit and Travellers Series 2019 is the Wayfarer Inland Championships which will be held at Datchet Water Sailing Club on 6/7 April. The Notice of Race can be downloaded from here. The schedule is to have three races back to back on Saturday and three more on Sunday. The event is being held jointly with the Flying Fifteen Southern Area Championships. As housekeeping notes, the plan for a social will be to retire to a local pub after racing on Saturday for an early supper. Normally there is no camping at the Queen Mother Reservoir because they need to employ a security guard. However, if there is enough interest, camping may be viable. 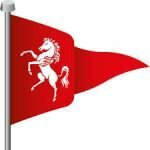 If you would like to camp on site please contact the Datchet Wayfarer Fleet Class Captain, Derek Lambert by email at [del1961@hotmail.com] or by phone on 07986 648625. 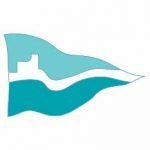 Ralph Roberts, our WIC representative, wishes to draw to your attention that there are still a few places remaining – please go to https://www.wayfarer.dk/sailing for further details of this unique opportunity to sail an area of coastline the like of which would never be experienced in the UK. There are also more details on a flier (pdf), linked here. A truly fabulous family week, with sailing. For further details see the event flier linked here. February 2019 will surely go down in the record books as providing some of the warmest winter days ever. 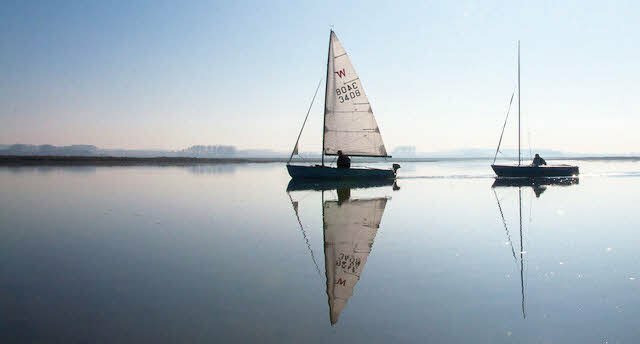 The traditional Norfolk winter sail really didn’t live up to its name this year as 27 crew and 13 boats enjoyed fabulous spring-like weather sailing from Brancaster Staithe in North Norfolk. Saturday began misty with a very light breeze that filled in as the morning progressed, whilst Sunday saw the fleet largely motoring in brilliant warm sunshine. Tides just off springs allowed the boats to explore the creeks through to Burnham Overy harbour, with a snack stop on the end of Scolt Head Island. 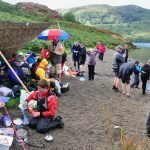 The usual great welcome and the facilities at Deepdale Farm’s bunkhouse made the gathering possible with this years record numbers. A minor amendment has been issued to the Notice of Race document for the National Circuit and Travellers’ Series 2019, which now includes paragraphs 14 and 15 (rights, copyright, data protection). The updated document can be found here. Greta Plowman, 99¾ not out! “My wonderful grandmother Greta Plowman will turn 100 this May! 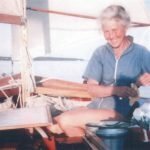 Back in the 1970’s she and my grandfather Piers built and then sailed their wooden Wayfarer ‘Sea Urchin’ (W1981) along the canals of England, the coast of Britain and as their confidence grew, the Friesian and Baltic coasts. Greta may have aged since those adventures but this has not dimmed her sense of fun and adventure. In her 99th year she has just tried indoor climbing for the very first time. Sea Urchin (W1981), who incidentally is celebrating her 60th birthday this year, is still going strong too and is being sailed by the third and fourth generation of Plowmans. 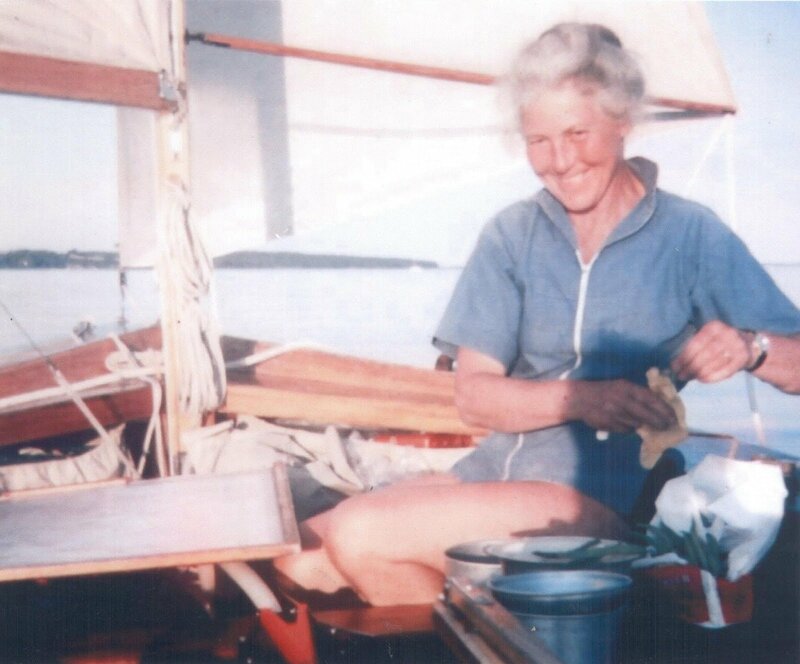 I am looking for any Wayfarer Association members who may have known Greta as we are hoping to bring together friends from her past and we would very much like to recognise and incorporate her sailing achievements into her 100th birthday celebrations in May. More foolishness recently from would-be scammers in response to our classified ads, regrettably. Advertisers, please ignore any approaches from someone using the email address [email protected] – any contact would probably be counter-productive. 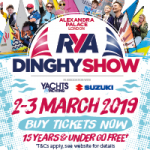 The RYA has recently released a promotional video which you can access via this link. The show itself is of course on the 2nd/3rd March at Alexandra Palace, London. UKWA members will be aware that our AGM is to be held on Saturday 2nd March at the same venue, at 4pm. More details via the top menu, AGM button. 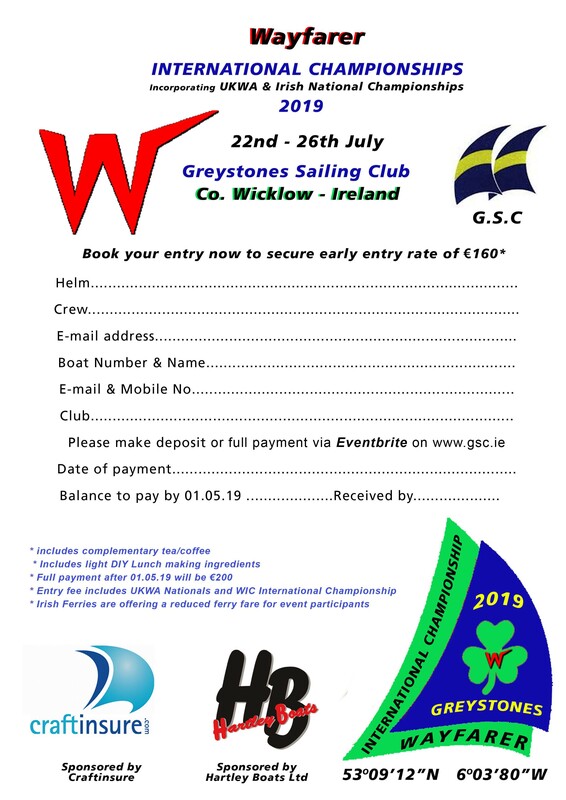 Members planning to attend this summer’s Internationals in Ireland may be interested to know that the booking section on the Greystones Sailing Club website (linked here) is now live. As usual, full details will be available here on the UKWA website as they become available. (The green/blue Internationals logo near the top of the front page will remain linked to the UKWA event page throughout the lead-up to this summer’s championship). 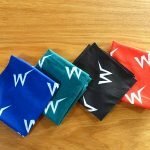 We have located some additional stock of the popular neck buffs, so these are once again available, at least for a while. See shop for details. Just a timely reminder that UKWA membership subs were due on or before April 1st. Many thanks! Dave Barker on As a new member, how does one post a cruising log? Celtic Sea Dog on As a new member, how does one post a cruising log?